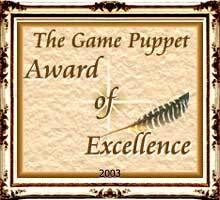 Description: The MBEAP Award Program "recognize[s] those International sites of outstanding quality in content and design." Sites are evaluated on content, design, graphics, navigation, originality, coding, load time, and links. 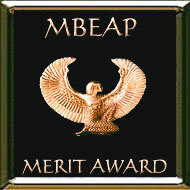 Citation: "I have reviewed your site, and wish to congratulate you for the great job you've done!...It is evident that you have put a lot of hard work in building your site...It is my pleasure to award you with MBEAP Merit Award, Congratulations!!" 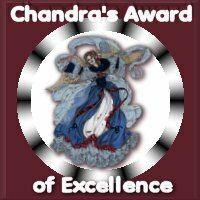 Description: Serena's Family Tree Award "reward[s] sites that give so much to the web by setting a standard of family safe viewing, showing love & dedication through many hours spent in the creation of their websites, and bringing to bear the heart of the web master/mistress." Sites are evaluated on content, design, graphics, load time, and navigation. Citation: "Your site is a wonderful tribute, a great resource for classmates, easy to navigate and well put together! 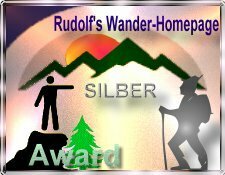 I enjoyed my visit and review of your site! 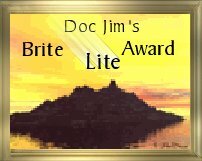 I am pleased to inform you that your site has earned my Gold Award! ... Thank You and Congratulations on a job well done!"